The trailer’s blocky animated title graphics and jazzy soundtrack set the stage for Safe House instantly – it’s a game of spies, where instead of doing all the sneaking and peeking, you’re running the base of operations. The safe house, if you will. Safe House is taking some cues from the base-building of XCOM: Enemy Unknown or, perhaps more accurately, Fallout Shelter. You’ve got spaces to clear and build spy facilities like barracks and surveillance suites, and you’ll have to recruit soldiers who you can send out on secret missions. In the meantime, you’ll earn money by deciphering encrypted messages or creating forged identity documents. It all looks incredibly cool and stylish, sort of the way you want to remember classic Bond films like Dr. No. If sneaking around in the dark is up your alley, check out our list of the best stealth games for PC. There’s a non-linear campaign with multiple endings to play through, plus an “endless” mode. 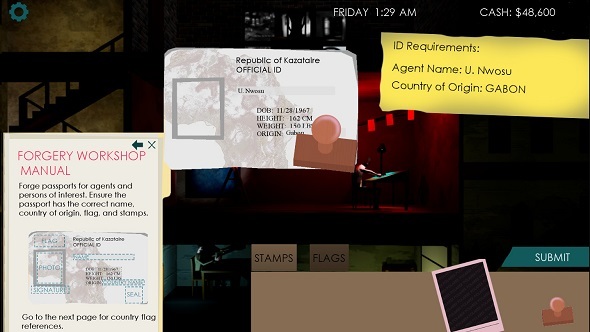 Developed by one-man Canadian studio Labs Games, Safe House launches Tuesday, May 22nd, and you can check it out on Steam – it’ll be 10% off its list price of $9.99 USD for the first week, so it’s worth a look.